Beyond Vietnam: A Time to Break Silence | لماذا غزة؟ Why Gaza? On April 4, 1967, Reverend Martin Luther King, Jr. spoke at Riverside Church in New York City, exactly one year to the day before he was killed. Some think it was this speech that put a target on his back. I was 13 years old at the time, old enough to be aware of such things, but I was clueless. A young teenager more absorbed with vapid personal crises than with the paroxysmal violence and destruction at home and abroad. I’m ashamed of myself. I made amends fifty years later. Today I read the speech in its entirety. 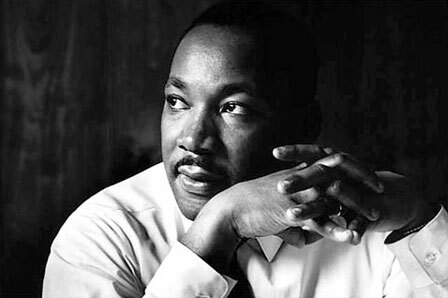 The relevance to current events, to the horrific fighting in Syria and Yemen, to the starvation in South Sudan, to the refugees seeking safety in Greece and beyond, and to Israel’s occupation of Palestine and the 10-year siege on the people of the Gaza Strip — although not called out by name, each are clearly what Reverend King was talking about in 1967. His recommendation in 1967 is even more important in 2017. The entire speech is copied below, along with the video of his speech. I urge you to read and/or listen, meditate and ponder how each of us can fulfill the vision that Reverend King shared. I am convinced that if we are to get on the right side of the world revolution, we as a nation must undergo a radical revolution of values. We must rapidly begin the shift from a “thing-oriented” society to a “person-oriented” society. When machines and computers, profit motives and property rights are considered more important than people, the giant triplets of racism, materialism, and militarism are incapable of being conquered. Since I am a preacher by trade, I suppose it is not surprising that I have seven major reasons for bringing Vietnam into the field of my moral vision. There is at the outset a very obvious and almost facile connection between the war in Vietnam and the struggle I, and others, have been waging in America. A few years ago there was a shining moment in that struggle. It seemed as if there was a real promise of hope for the poor — both black and white — through the poverty program. There were experiments, hopes, new beginnings. Then came the buildup in Vietnam and I watched the program broken and eviscerated as if it were some idle political plaything of a society gone mad on war, and I knew that America would never invest the necessary funds or energies in rehabilitation of its poor so long as adventures like Vietnam continued to draw men and skills and money like some demonic destructive suction tube. So I was increasingly compelled to see the war as an enemy of the poor and to attack it as such.